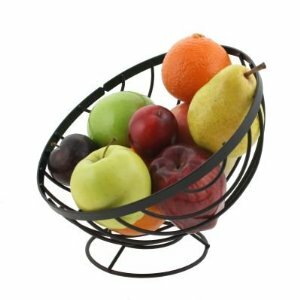 Tilted Fruit Basket/Bowl only $7.99 w/ Free Shipping! Head over to Amazon to get this nice fruit basket/bowl for only $7.99 shipped! Don't hide your fruit in a deep, dark bowl or basket. This open, airy tilted fruit basket allows your fresh fruit to breathe and the gorgeous colors of nature to shine through. The angled design actually puts the fruit on display.